NHS Continuing Healthcare: Should social workers be involved? Confused about Continuing Healthcare and how the assessment process works? We look here at the beginning of the NHS Continuing Healthcare assessment process – especially for people in hospital. The reports that hundreds of families have shared with us indicate that the the health and social care authorities often provide misleading information to families about NHS Continuing Healthcare. In an ideal world, all assessors would be properly trained and would follow all the relevant guidelines and case law when looking at care funding but, sadly, that doesn’t seem to be the case in many instances. Many people who work in hospitals also often seem unaware of NHS Continuing Healthcare – and the need for proper assessment. If they are aware of it, it often seems that they don’t always understand how it works. It means people needing ongoing care are immediately at a disadvantage, as they get wrongly channelled into means testing and paying pay for their own nursing care. The Checklist is the first stage of the NHS Continuing Healthcare funding assessment process. The Checklist document is ‘relatively’ straightforward, just 21 pages and 8 of those pages deal with the 11 care domains and associated scores. You’ll find the required scores on pages 7 and 8 of the Checklist document. Keep in mind that the Checklist can be completed by just one person (a health or social care professional who understands the process, who understands the reason for the Checklist and who has a good understanding of the nature and extent of the care needs of the person being assessed). The local authority (e.g. a social worker) has a legal duty under the Care Act to refer a person for a Continuing Healthcare assessment if there is even a small chance the person may be eligible. So you can ask a social worker to get the process started and arrange for a Checklist assessment. You can also ask a health professional to do the same. 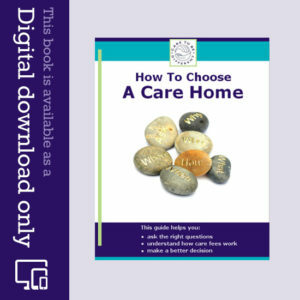 You can also ask a care home or care provider to get the process started for you. Ignore any response that tries to fob you off or tell you that it’s ‘not worth it’. If you are acting on behalf of your relative, you should be involved at every stage and asked for your input. You should also be given sufficient notice of any assessment dates and accurate information about the process, how it works and what the eligibility criteria are. A Checklist does not involve a multidisciplinary team (MDT) and does not need to go to a Clinical Commissioning Group (CCG) decision-making panel. It goes to the Continuing Healthcare team, which is based at the CCG. CCGs sometimes outsource the assessment process to a Commissioning Support Unit (CSU), but it is the CCG that retains the decision making responsibility for NHS Continuing Healthcare funding. A positive outcome in the Checklist (i.e. if the scores are sufficient) does not render someone automatically eligible for NHS Continuing Healthcare funding; it simply means the person goes through to stage two: stage two involves a Multdisciplinary Team (MDT) and the Decision Support Tool form; this stage is often known as the ‘full assessment’ and it is much more involved. Page 15 of the Decision Support Tool highlights guideline criteria for eligibility. If you disagree with the outcome of the Checklist, you can insist that it is done again or you can also request that your relative goes through to stage two, the full assessment, anyway. See page 25 of the National Framework for NHS Continuing Healthcare and NHS-funded Nursing Care. Many families report that they are not kept informed, that assessments are carried out behind their backs and that they come under immediate and inappropriate pressure to submit to a financial assessment. The whole purpose of the Continuing Healthcare assessment process is to ascertain who should pay for care; a financial assessment is entirely inappropriate until the Continuing Healthcare assessment process is complete. Although the Continuing Healthcare assessment process is managed and carried out by the NHS, a local authority representative or social worker must be involved in the full MDT assessment, as they must look at whether or not your relative’s care and care funding is beyond the legal remit of the local authority. This principle applies throughout all stages of the Continuing Healthcare assessment process. It is for this reason that no one can say that your relative has to pay for their own care until the assessment process has been properly carried out – whether that’s ‘just’ the Checklist or whether it’s the full assessment as well. It must all be done properly, and in accordance with case law (including the Coughlan case) and abiding by National Framework guidelines, in order for any legitimate decision to be made. Forcing a person into means testing before this is done could not only be considered financial abuse, but it may also put the local authority in an unlawful position if the person’s care is actually an NHS responsibility. The new Care Act places a responsibility on local authorities to look properly at whether a person’s care is beyond the local authority’s legal remit. Read more about how the Care Act can help you. In the experience of many families, hospitals are where many mistakes are made when it comes to the proper Continuing Healthcare funding assessments prior to hospital discharge. Nursing staff are often unaware that an assessment should be carried out and, under the instruction of the discharge team, may simply prepare a person for discharge before it has been properly established who is paying for ongoing care. The new Care Act makes it clear that this assessment process should take place prior to discharge from hospital. Read more about getting the NHS Continuing Healthcare assessment process started in hospital. My mother, who has dementia, heart failure, limited mobility and other attendant health problems, is in hospital for the second time in five weeks. She is ‘self funding’ (!) and a month ago was discharged with insufficient care in place. She has care visits at home twice a day on weekdays, once from a large franchised domicilary care agency and once from a private carer who is actually more of a home help. She has other visitors supporting her during the day too. She has visits three times daily from the agency at weekends. I live abroad but visit her every month and stay for a week to 10 days at a time. It has become clear that she now needs more extensive care. When she was being discharged the nurse in charge was actually contacting the care agency behind my back to discuss arrangements, which obviously my mother would have to pay for! They were able to confirm very little help initially – three visits over the next few days and that was it. Her discharge notes stated that I was aware it was up to me to arrange ongoing care. It’s not that easy of course. They sent her home with a catheter which, having dementia, she had no idea she had to pick up the bag and take it with her every time she stood up. I didn’t sleep for four nights as I had to constantly monitor her attempts to get out of bed unsafely with the catheter attached. It was an incredibly stressful and exhausting period. This time I will not let her be discharged so easily. I am in doubt whether she is eligible for CHC funding but will request an assessment in any case as she has so far had no kind of assessment as, again being deemed to be self-funding, I might as well ‘just get on and organise it myself’ (even though I am no expert of course). I asked my mum’s GP about the assessment and she said it is not something they are contracted to do (or words to that effect), so I am unsure who to ask to start the process – the GP knows my mother best. She does not have a social worker and the staff in the hospital ward clearly do not know her or her needs well enough. She is under the care of the specialist heart nurse team – can I ask them (although their involvement with her is only quite recent)? I just don’t know who to approach to get the ball rolling. Please help as I want to get this started ASAP. Very many thanks in advance! Mum believes she has eaten, she goes out I have to look for her all over the place. When we get home she says she has moved will not go in. She does not shower, bath, clean her teeth and she is incontinent. Getting mum diagnosed. She is very fit but has no sense of memory. Mum is 94, I go help everyday. Tried carers but she was out when they arrived, so they gave up. Would mum be eligible for NHS Continuing Healthcare (CHC), or is it not worth trying? I am seeking help and advice regarding the recent cuts to the funding of my mother in laws care. My mother in law Patricia, was diagnosed with frontal temporal dementia (picks disease) 3 years ago at the young age of 56. She now currently lives at home with around the clock care from two companies, one providing a living in carer, which are funded and provided by the local clinical commissioning group. This routine has taken months if not years to perfect with a very strategic monitoring system of her medication, routine and diet. Patricia in particular has to be monitored very closely as any change of routine can have very traumatic effects on her behaviour and wellbeing. If there is a change, Patricia becomes very anxious and distressed, she is so delicate in fact any change of environment, even carer is highly distressing for her and can undo months of hard work and monitoring. She is also prone to falls and very sadly recently, seizures. Patricia cannot talk, is very unsteady on her feet and is unable to feed herself, she has to be taken to the toilet regularly to avoid accidents, but only when prompted. My husband and his brother, received a letter approximately three weeks ago, to say her funding for the care package at home is going to stop, based on a very contradictory, unresearched and appalling “assessment” on Patricia, this report scored her majority low on each category, but in each description would describe Patricia as high. My husband and his brother were given two weeks to provide an appeal and as much evidence to turn over this decision. They provided a very detailed letter with ambulance reports, a patient profile and covering letter from her GP stating that the reason Patricia has not declined and can be considered a “low” is due to the very closely monitored care package provided. These cuts will have a detrimental effect on Patricias quality of life. We will not be able to fund her home care would be forced to put her into a nursing home. I understand nursing homes are around the clock care, but it is the continuous one to one care that works so well for Patricia, and is vital to her health and wellbeing. My husbands brother has got the local MP involved, her GP and will seek legal action regarding this decision, but this has all been ignored. We cannot just let this happen. With the help of my husband and his brother, we will drum up as much noise, fuss and will not stop fighting until we can get a situation where Patricia can stay in her home. We cannot believe that we have been let down by the system. If you have any advice it would be a huge help. I have been battling since last November as my sister and I feel the Continuing Healthcare (CHC) done for our mum was incorrect, my sister and I were not present, mum has dementia. We have been told to request another checklist thru the GP or District Nurse. The GP says it is not something he does or has ever done, also it is apparently no longer the domain of the District Nurse but adult social services. Adult social services will not get involved because mum does not have a care worker and the Care Home say it is not them that do it, and so it goes on. I even went to the MP but the MP was told the same thing as us. I understand that we can appeal against the original CHC? I cannot understand why we are being misinformed left right and centre by the NHS and getting no replies from them and not being told about any possible appeals process. I feel we need someone to give us the correct info so that we can follow that and progress to either an appeal or a new CHC being carried out. My Mum went into a care in Feb 2015, was evicted and sent to a nursing home by June 2015. She has vascular dementia. She is now bedridden and is losing the ability to feed herself. I have been battling with our council regarding funding ever since. I wait months for them to send something and then they give three weeks to respond! They have now sent me a letter saying that she must pay the full cost of her care, but nobody has ever mentioned continuing care . If I ask for an assessment what happens to the financial side of things? We are paying some of her pension to the council but that’s it at the moment. My mother moved to care home in new borough in March – Multidisciplinary Team (MDT) assessment was set by new borough for August but was cancelled as they said previous borough still held responsibility as she received a payment over & above the Funded Nursing Care (FNC). THis has now all been sorted out & the new borough has taken responsibility & set a new MDT assessment date for just before Christmas which is not good for either myself or my sister to attend. Can they go ahead without us there or can we insist they schedule a date when we can attend? Surely since she has been in the new home since March, an earlier date should be set as this is now urgent? Ann- you can ask them to choose a different date. I had this experience myself, personally, when an assessment was scheduled immediately before Christmas. I complained that this was unreasonable and it was rescheduled to after Christmas. You’re correct, though, that the assessment needs to be done sooner rather than later. Thank you for your reply, I have now an update. My husband had Vascular Dementia and had been in a care home for nearly 4 years. He had an assessment in September 2015 and his CHC funding was withdrawn.I have appealed against this but have had no reply. On 20th January 2016 he had a second assessment and scored the 2 Severes and 4 highs which as the nurse assessor said would qualify him for funding. On the 10 March 2016 the quality control commission disputed this and requested a further assessment. This was going on all the time we now have found out whilst my husband was dying. On the 25 March I was sent for as my husband was seriously ill, with a chest infection. He lay for over a week on his own in the care home without food drink or medication, until I finally rang the head of Maricare and demanded he be sent to hospital. Reluctantly the care home sent him. On arrival at hospital they administered pain killers and made him comfortable. The Doctor said all his organs were shutting down. My Son queried how this could have happened in a week and we were told my husband had been deteriorating for over 6 weeks. This was the first we knew about it. He had not been put on to Fast Track and I have still not had any decision on his last assessment, when I telephone their system is always down. They say they will get back to me but never do. Despite the fact the NHS knew about my husbands condition. The dates confirm this. Unfortunately my Husband was not available for a further review – he died peacefully on April 2nd. Just what is this country coming to. That sounds so distressing, Jackie, and I’m very sad to hear that your husband has died. No doubt it’s a hugely difficult time for you, not least on account of all the incompetence and maladministration on the part of the various care authorities. Sorry if I was unclear about that; the GP, care home manager etc. are only being asked to stand as certificate providers for our application for LPOA. My Dad has outlived most of his friends so there is really no alternative. 1) Are you saying that a Mental Capacity assessment needs to be carried out before this LPOA can be certified (in the circumstances)? 2) Does one need to be done before a CHC Checklist can be carried out? 3) Given that the CHC Checklist was carried out behind our backs (despite our asking to be involved before the event) is it valid? – we are my fathers only living relatives. 4) Can we demand copies of therResults of the Checklist ahead of the CHC DST assessment meeting on Friday? What would happen if they will not give us advance sight of this information. We are aware that if we cannot get LPOA we will need to apply to the Court of Protection from reading the information on this excellent web-site. We also know that it is difficult expensive and often fails, Hence we are exploring every avenue whilst preparing these applications. If there is any doubt about a person’s mental capacity to make a power of attorney, then a Mental Capacity Assessment (MCA) may be required. You may also want to seek the advice of a solicitor on this if in any doubt. If there is any doubt about a person’s ability to give consent to a Continuing Healthcare (CHC) assessment, and there is no POA, then an MCA may be required. The National Framework makes it clear that families should be involved in the CHC assessment process, so I would certainly question why the Checklist was done in secret and why you weren’t even told it was taking place. If the assessors did address the issue of consent properly, there should be the paperwork to match. I suspect there isn’t any. This could be a way for you to stall the process – as the assessors may have breached the Mental Capacity Act. You may find Tim Farmer’s website helpful: http://www.tsfconsultants.co.uk. My husband has vascular dementia, and has been in a care home for 4 years, he is gradually getting worse, he cannot speak does not know us is incontinent, and having a lot of falls. The carers say his violent behaviour is such that the younger carers are afraid to attend him.Up until September 2015 he had CHC fully funded. The DST did a review,and withdrew his funding, I have appealed against this decision in October 2015 but as yet have had no results from this appeal. I requested the second DST in January 2016 and my husband scored 2 Severes and 4 highs plus 2 moderate the nurse that did the DST said at the end of it that he should get his funding back.I have now received a letter from the Quality Assurance Committee saying they feel that my husband requires a further assessment to determine his eligibility.I feel I am being fobbed off and they will refuse my husbands funding in the end I would like to challenge this decision but unfortunately I would need LEGAl AID to do so ,and I have contacted quite a few solicitors who say on their websites they do this, but come up against a brick wall when they are asked, and refuse.The system in every direction is flawed.i would appreciate any help you could give me. Had 4 CHC ASSESSMENTS. Hopeless they do not listen. They have last word and that is it. Thanks for your kind words, James. I have another CHC meeting soon. It made me laugh last year.On the morning of a due meeting i received a letter saying our father did not qualify for CHC even before meeting had took place. I think your last sentence sums up so much about the whole Continuing Healthcare process, James! I’m curious to know what the assessors said when they were made aware of their ‘error’? We just got an apology. The head lady was going on holiday and it was sent out by mistake. My father is in the latter stages of alzheimer/dementia he doesn’t have capacity, non-mobile or weight bearing, double incontinent and gets very confused and agitated and is unable to express himself. I don’t know how to proceed. My 88 year old father who has Alzheimer’s, a urinary catheter and needs blood thinning medication was in hospital of about 6 months with repeated infections. These seemed to cause him to become even more confused. He’s now been discharged to a local care home for “assessment”. No mention of CHC assessments at all. I am not sure whether to ask the care home outright if this is what they are doing or if it might cause them to take a hard-line attitude to my fathers case. Don’t really know where to start in this situation – I don’t have POA and I am trying to get this at the moment. Is the NHS still paying for these assessments or are you being expected to do that for your loved one? Or is it that they have carried out “discharge to assess”; the foolish process that seeks to undermine the National Framework by avoiding producing a CHECKLIST before discharge. As for another comment: If you work on the principle that you are doing something genuinely in the best interests of someone then it is very difficult if you are next of kin or working with their written consent, for the council or the NHS to ignore you. Even the National Framework requires that relatives be involved. There is little or no mention in that section of the relative holding powers of attorney. To give you an example; in mental capacity matters the authorities are duty bound to involve an Independent Mental Capacity Advocate in a persons care. Does the IMCA have power of attorney? Of course they don’t. It can be helpful to hold such but do not delay whilst sorting it out. Look up some of the more relevant posts on this site and then contact your local CCG directly and demand that a CHC assessment is undertaken. Many thanks for this, and for the extremely helpful web-site. I have ascertained that the assessments are being paid for by the NHS and that a CHC assessment will be carried out “when your father’s health has stabilized”. I think this is only being done because I came among to a “family meeting” at the care home where he temporarily resides with a copy of the NHS Continuing healthcare Framework well-thumbed and sticking out of my bag! We have now been summoned to another such meeting at which we are told we will be discussing discharge destination and date. The thing is my father has had repeated infections between then and now and has been put on prophylactic antibiotics. A CHC assessment meeting has been set for 12th April, but my father frankly seems no better (is suffering from delirium) and we don’t see how he can be considered to be stabilized until he is. Can we demand that the CHC meeting is delayed until he is stable? And should we? By the way we have not been invited to the meeting – we still don’t have power of attorney but my father’s new GP has told me that he “does not have capacity”. I can pretty much bet that his consent for the CHC assessment has not been sought. I am very worried that I will do the wrong thing – we just want what’s best for him. Any advice or observations would be most gratefully received. Yes, I think it is clear that the GP does not understand the MCA and I am trying very hard to get him to do so. My father is not in hospital, but in a care home chosen by the hospital that he was admitted to. He is there “for assessment” (since this trust operates a “discharge to assess” process (!)) but has been in and out of said hospital for various problems which apparently the trained nurses at the home cannot spot and cannot cope with. Now we have received the information that the my fathers CHC “checklist” was carried out on the 3rd of March. No one in the family was informed of this, despite our continual requests to be involved. We have been told that a DST assessment will take place in a couple of weeks and were asked if we would like to attend. Despite both having to take time off work, of course we will do so. We have asked for copies of the CHC checklist results and have asked why we were not involved and how this was process was explained to my father, given that he is said to lack capacity. Have you any further advice regarding how we should proceed.? It feels as if they are just trying to railroad my father out of their care and bypassing us at every turn. We are contending that we are my father’s “appropriate representatives” despite the GPs (and care home manager’s) refusal to help us gain POA. Is this the correct line to be taking? My 87yr old dad went into a care home last for two weeks respite to give my 86 year old mom a break. The care home assessed him and said they could meet his needs, however he has been there 4 nights and he hasn’t settled, he has become aggressive, confused and hasn’t slept in his bed at all. The mental health nurse came in to asses him and advised one to one 24 hour supervision. This is being organised but not quickly enough. He is only there for two weeks with a possibility of extending it to four weeks but this looks doubtful now. I have requested a CHC assessment but was told that as it wasn’t his usual environment he wouldn’t get it. Is this true? Should I demand a CHC assessment. He hasn’t got a usual environment now as he can’t go home and quite probably can’t stay at that care home. The home have been helpful in documenting everything and are doing their best but they cannot cope with him without one to one. Surely, he has a right to a CHC assessment now as we have two reports from Mental Health Nurses stating he needs one to one supervision. My 92 year old mother in law was admitted to hospital in September following a fall at her residential home that led to a broken bone and she had an operation. We were advised it would affect her mobility. She sustained a separate fracture whilst in hospital (how we do not know) and had to have a second operation. She is now assessed to need nursing care not residential care as she is immobile and bed bound. We met with the discharge sister and a CHC Checklist was completed by the discharge sister in part with us present. She listened to our request for mental health assessments to be undertaken on mum and subsequently told us that the checklist concluded that a full CHC assessment should be carried out – although we did not get a copy of the checklist. (The Checklist meeting only happened as a result of the social worker meeting with us following the first operation and reading to us a Checklist which we had not seen and did not agree with. At that time the hospital had also said she needed nursing care.) Following the news that a full assessment would be done and that we would have to attend a panel meeting, I chased the CCG as we had not heard when the panel was. I was advised that they had made some initial enquiries on receipt of the checklist relating to mum’s nutritional needs and had concluded the checklist was wrong – but that she did meet the threshold for nursing support, but that no full assessment would take place. We have been sent by the CCG a copy of the Checklist and notes from the contributing teams, i.e. nutritionist, OT although we did not meet with them or have any discussion with them as part of the checklist meeting. (We had had chats with the OT when visiting but no formal meeting.) Mother in law remains in hospital but was assessed as fit for discharge on 30.10.15. We have identified a nursing home for her although the bed is not available until 19.12.15. Having read this blog now I am wondering if we should request a further Checklist assessment. We have been told the nursing support element will need to be reviewed in 3 months time and my understanding is that her overall needs will be reviewed then. The whole experience has been a nightmare. The hospital has arranged this week for another nursing home to assess mum for respite care without any communication with us despite us having power of attorney for finances. They do not seem to have considered that we will need to read and get legal advice on the contract etc for a two week respite stay (which we will do as the residential home she was in initially overcharged us by £5000 when her bed there was cancelled; we did not pay it as we carefully read everything.) She has ongoing needs around occupational therapy to try to mobilise her more and nutritional needs as she refuses to eat solid food and is on liquid nourishment. This leads to periodic admissions to hospital as she gets severe stomach ache and constipation due to lack of fibre. We have been told the LA does not have to do a care plan and that the care home will do this – my worry is who will ensure that the referrals are made and have oversight that these needs are being met? She has had hardly any OT in hospital and the OT team there have said community OT is hard to get – but mum thinks once she gets into a home she will have a lot of support and start walking again. It is so sad. When all this started last year following another fall at home she went into hospital then rehab then to a residential home. At that time it was all funded by the LA. We have never received a copy of the LA social work assessment and no Checklist or CHC was done then. We were told to sell the home (an ex council house in north of England worth not very much) and she became self funding in October 2015. We have had a letter from the head of adult services apologising for the error in the advice we were given at the time. I dont think it would have made much difference as if we had rented the house out we would not have been able to pay the fees anyway. Mum got not better care of support when her care was funded by the LA. Our experience has been awful and the agencies that you trust to help you mislead you. We are so exhausted by it all – its easier just to do what they want. If you believe the Checklist has been incorrectly thrown out, you can appeal this and ask for a full multidisciplinary team (MDT) assessment. If you have power of attorney, all the health and social care authorities should keep you informed and involved at every stage. The local authority has a duty to assessed are needs and, if necessary, refer to the NHS for Continuing Healthcare assessment. It sounds as though you are being put through a terrible ordeal, Michele. Sadly, it’s not unusual. Hang in there. Hi – I am wondering what to do next terms of funding for my mother’s care. She was discharged from hospital in January 2014 and has been in a nursing care home since that time. At the time of getting her a placement we (my sister and I) were required to sign an agreement to pay the 3rd party top up fees for her care (amounts to £800 per month). The council pay just over £500 per week, my mother has a voluntary contribution of £103, there is a nursing care amount of £105 and the additional £200 per week is down to myself and my sister. I have just got POA over her accounts and am now assessing what savings she has, although from your website I understand this should not be the first call. My sister and I have been spending this money (which we hadn’t budgeted for and don’t think we should be paying) and want to progress the situation so that we are not unnecessarily paying for care that should be paid for by others (and we are not sure we can continue to contribute to this level). I have two copies of FACE Overview Assessment v6 (one before she went into hospital and one on departure) – the latter one dated 20/3/14 states that she was being placed in the nursing home on a temporary basis. This was made permanent in June 2014. I’d be grateful if you could point me in the right direction to get this reviewed correctly. Many thanks. Thank you for your helpful replies. I am at this moment waiting for the Ombudsman’s office to reply to my comments on his report not upholding my complaint. Yes, Chris I could not believe my eyes when this report dropped through my letter box three days after I had agreed on all the points to be investigated in my letter! The ink on my letter had hardly time to dry. Once I receive the Ombudsman’s reply I will then decide what the next step is to be. I will certainly contact you, Angela, for legal contacts if necessary. What really makes me angry is the way elderly and vulnerable are being treated when Checklists and DST’s are carried out without prior notice. The NHS appears to be a law unto itself. Thank you again for your replies. I share your sentiments, Chris. The Hospital is not following The National Framework for NHS Continuing Healthcare when assessing elderly people for funding in a nursing home, care home or at home. In my experience prerequisite checks do not always follow these guidelines. Before any Checklist or DST Assessment is carried out prior reasonable notice of the need to undertake the Checklist must be given to the patient or (where appropriate) their representative and the process for completion explained to them. They should be supported to play a full role in the process and should be given every opportunity to contribute their views about their needs. Decisions and rationales should be transparent from the outset. This seldom happens. Checklists are carried out, without notice to the patient or their representative most of the time. Also individuals consent should be obtained before the process of completing the Checklist commences. My sister was admitted to hospital on 10-02-2014 and discharged on 06-09-2014. A Checklist was carried out on my sister when she was still very ill without any notice to her or myself. She was not fully able to understand what was going on. I only found out the following day from a social care worker who informed me that a Checklist had been carried out on my sister. I asked this lady what a Checklist was (at that time I had no idea on how funding was carried out) and she explained to me. She then asked if I would meet with the team of people who carried out the Checklist the following day at my sisters bedside. I met with this team the following day and the Checklist was discussed but not reviewed. They talked about nursing and care homes for my sister and asked for details of my sisters finances. I immediately stopped them there and told them no forms would be signed and my sisters finances discussed. Found out later when I had gone into the National Framework for NHS Continuing Healthcare that personal finances should not be discussed until after a Checklist has been carried out. As no prior notice had been given to either my sister or myself I then requested a meeting with the head of the Hospital Discharge Team and met with her the following day at my sisters bedside. She gave me a copy of the Checklist that she had carried out and a copy of NHS Continuing Healthcare Checklist notes. 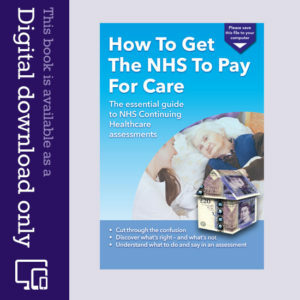 I had come prepared after spending most of the previous night downloading the National Framework for NHS Continuing Healthcare, other relevant information and obtaining advice from various sources including http://www.caretobedifferent.co.uk website. We discussed the Checklist and I disagreed with her domain markings and asked why she had only circled the domain letters and not written her reasons for this in the columns provided. I told her this checklist had been carried out too quickly and not in accordance with any of the National Framework for NHS Continuing Healthcare guidelines. I informed her that I would not let my sister be discharged from hospital until she was well on the road to recovery. The National Framework for NHS Continuing Healthcare guidelines also state Checklists should not be completed too early in an individuals hospital stay. She said that unfortunately they were not able to give notice for the completion of the Checklist due to the rapid pace of discharge planning in an acute trust. This is a feeble excuse for not following the rules laid down. They cannot bend the rules to suit themselves. It would appear that they were trying to free up a bed by moving my sister to a nursing home when she was in no fit state to be moved. Eventually another meeting was arranged to discuss this Checklist. She said she could not attend but her assistant would meet with me. I met with her assistant and the ward sister and reiterated that the Checklist had not been carried out in accordance with the National Framework for NHS Continuing Healthcare. Her assistant then said we will scrap this Checklist and carry out another when the situation is right. They obviously knew that they were in the wrong by agreeing to scrap this Checklist. Another Checklist was carried out six weeks later and in accordance with the National Framework for NHS Continuing Healthcare. My sisters scores were high enough to move on to a full DST Assessment (Decision Support Tool). The DST Assessment was held one week later and this is where the major breach of the National Framework for NHS Continuing Healthcare guidelines occurred. It was chaired by the Head of the Hospital Discharge Team along with the MDT (Multi Disciplinary Team) and myself representing my sister. The meeting was recorded by hand on a set of DST Assessment Sheets. Not all the people who attended this meeting were listed. The Physio and Dietitian were both left off. This DST document is the only true record of what took place at this meeting and all those in attendance must be listed. Everyone at the meeting should have been given a photo-copy of this DST document. No one from the MDT or myself were asked to sign this document at the completion of the DST meeting. This handwritten document was never issued. A word processed document was later issued with many additional comments added which were not discussed at this meeting.Without the original handwritten document there is no way of checking that the word processed document is correct. The only true document is the meeting DST. NO DOCUMENT NO MEETING! I believe most Checklists and DST Assessments have been carried out this way at this hospital with elderly and vulnerable people. The NHS is treating the elderly like pieces of furniture rather than people. No one will state why the original hand written notes taken at the DST were not distributed. It would appear that the DST notes have been destroyed. I appealed the decision and appeared before a CCG panel on two occasions and both times I have told this panel that my sisters DST Assessment word processed document is not the true document recorded at this meeting and is not acceptable. They still insist that this document can be used. They even got the MDT members to sign the word processed DST document to confirm it was a true record of what took place at the DST Assessment after my first meeting with them. Without anybody having seen the original DST document. Indeed I was informed that the original handwritten DST Assessment notes could not be produced? I lodged another appeal with the NHS Continuing Healthcare Independent Review Panel. This appeal was heard in January 2015 and again rejected. The IRP never even mentioned the ‘Pamela Coughlan’ case on which I based my appeal. Neither did they mention that they had not followed the National Framework for NHS Continuing Healthcare Funding. My appeal was rejected. unable to uphold my complaint! Just could not believe what I read. In two days the inspector had investigated and produced a draft report for me to go over!? I replied stating that no one can investigate and produce a draft report in a period of two days. Also none of the points that we agreed had been fully investigated and reasons for not upholding them given. I am now pursuing the Ombudsman for explanations and reasons. Also why they are not chasing the IRP for not following the National Framework for Continuing Healthcare Funding when considering my appeal in January this year. I would welcome any comments and suggestions on what is the next step I should take. I am my sisters primary carer and also have power of attorney for property and finance. Part of this article was published in my local paper and I had quite a few people contact me saying that check-lists and DST assessments had been carried out on either their spouses or loved ones without prior knowledge. Thanks for your comment, Chris – and for your kind feedback on our website and on the book. I’m glad it’s helpful. The maladministration that has occurred in your sister’s CHC process is sadly not unusual – unfortunately – and many families report that they have been given no notice of – or information about – assessments and that there are serious gaps and omissions in the assessment notes. In your sister’s case it would appear that the NHS has also destroyed the evidence noted at the MDT meeting and that the notes have been altered. This would be a serious breach of all guidelines. The hospital’s statement that there was no proper Checklist procedure because of the ‘rapid pace of discharge’ is no excuse at all. Indeed, it suggests that the discharge process is unsafe if they are not properly assessing a person’s ongoing care needs. Although the CHC process is largely about funding, it is also designed to identify current and ongoing care needs. I can understand your questions about the Ombudsman – that seems shocking. You may need some legal help at this point. If you need any contact details, let me know. Everything you wrote is in evidence within two of my relative’s cases. Yet we have (won) three IRP’s. I have stated before that I do not consider that my mum’s needs are any greater than many posters on this site. I go with Angela, as regards the Ombudsman. It took from June until October for a barrister led IRP to report their findings (65 pages long without the reference materials), in my mother’s case. How the hell does an ombudsman do it in two days? Disgusting! We tried to get free nursing care back in March but the discharge nurse signed to say we weren’t eligible even before the form was sent and we were told within the week. We are trying again but the assessment is liable to take forever. My husband is in a nursing home with dementia is doubly incontinent and has to have puréed food and thickener in all his drinks . He cannot be left any food and drink when he is on his own. Most of the staff are frightened to feed him in case he chokes. He spends most of his time in bed because he always has a sore bottom and his actual out look on life is nil. I do not know what we have to prove before we get any help. Any advice ? Jean you need to chase your CCG for a full NHS CHC assessment. That will require you, perhaps an Independent Mental Capacity Advocate (IMCA) too. and the Council’s social workers to attend along with the NHS assessor who leads the assessment. The NHS/ Council should inform you about your access to local IMCA’s. The discharge nurse was probably remiss in not carrying out a “Checklist”. Although it is becoming more and more common to use “discharge to assess” procedures and then ‘forget’ to do the checklist or the CHC assessment. Regardless of the arguments; It is however, the NHS CHC assessment that you require.